The Flag Building, Scientology’s international center for religious training and spiritual counseling, in downtown Clearwater, opened on November 17, 2013. Like a string of gems, Florida’s coastal cities each look out on water, many with breathtaking beachscapes, all warmed by abundant sun. The brightest jewels are illuminated by something individual—Sarasota has Ringling, Cocoa boasts the space center, St. Augustine embodies history. Each of those unique qualities can be weighed and measured—how much value do they bring to their city. A July 2014 report from Florida State University economists displays another of Florida’s civic gems. 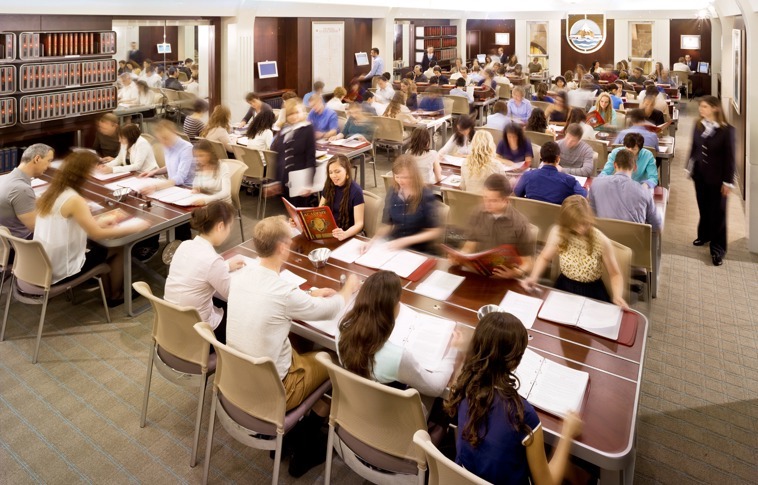 The study shows what is very special about Clearwater—the international spiritual headquarters of the Church of Scientology. That economic impact in 2013 was calculated at about $917 million, making the religion the greatest single contributor to the Clearwater economy. 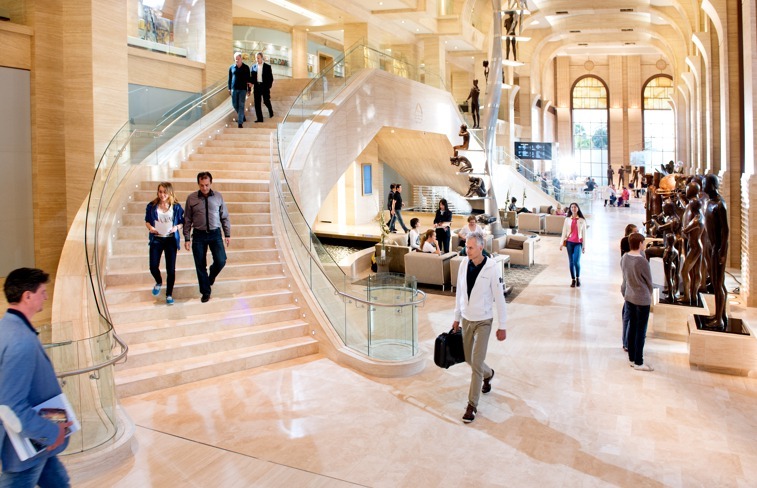 The Flag Building’s atrium welcomes visitors with statues that symbolize fundamental principles of the Scientology religion. What does that almost $1 billion in annual financial impact mean to a medium-size city with 110,000 residents? A lot. A single enterprise pumping $1 billion into Clearwater is indisputably an economic powerhouse, and should be integral in creating a dynamic vision for the community. Especially since the Church of Scientology is in the heart of Clearwater’s waterfront downtown, and has the largest financial weight of any single entity in the city. The Church’s 2013 impact in downtown Clearwater, researched by Florida State University economists, included more than the bottom-line number. That study also profiled the roughly 22,000-plus Scientologists who live in or visit the Tampa Bay area each year—a demographic group defined not only by financial clout but also by entrepreneurial accomplishments, artistic endeavors and civic involvement. Even without a study documenting the Church’s impact in Clearwater, the religion’s financial footprint is an undeniable reality. Only determinedly delusional people dispute that the best way for City and Church to each prosper is solid cooperation. Adding to the FSU economists’ analysis is a separate study in June 2014 by the Urban Land Institute, a prestigious Washington, D.C., think tank that critiques problems cities face, and then suggests solutions. ULI’s final report, commissioned by the City, was published in September and took a hard look at Clearwater’s downtown assets and deficits. The seven-person ULI team—mostly development and urban planning professionals—argued strongly that City and Church should march shoulder to shoulder to create and enact a new vision for downtown. William Kistler, who led the ULI team and is an internationally acclaimed urban planning consultant, commented that the City should capitalize on the Church’s educated, socially motivated and generally affluent membership. “We think the Church brings considerable resources and goodwill to help solve the challenges facing the city,” he commented. Those two reports’ conclusions underscore that the Church is a critical factor—arguably THE critical factor—in developing a vibrant downtown Clearwater. To visualize that potential partnership, ULI suggested savoring the aroma of coffee, particularly the Starbucks brand at a shop at the corner of Fort Harrison Avenue and Cleveland Street. One member of the ULI study team, Brad Rogers, summed up both the Church’s economic heft and its commitment to downtown Clearwater with a case study of how Starbucks came to town. The Church of Scientology “would be a great beneficiary of an active, well-developed, thriving downtown core, and if you look at their actions, they have done … some really important things to contribute to that,” said Rogers, a lawyer and principal with Advance Placemaking in Maryland, during a presentation in June to the City. “Let’s leave aside the fact that they put $250 million into downtown, and let’s leave aside the fact they bring 2,300 jobs to downtown, and let’s leave aside the fact they pay a million dollars in taxes, and let’s leave aside the fact that their flagship buildings are in impeccable condition, and that they do charity work. What does the Church bring to that equation of “mutual shared interests”? Two major ingredients are defined by both the ULI consultants and the FSU economists: The financial strength of an institutional anchor—comparable to a university or major medical center—plus thousands of Scientologists who create companies, bring jobs, encourage culture, support scores of charities and civic endeavors, and funnel their own above-average incomes into the local economy. The ULI final report noted that the partnership that brought Starbucks downtown “was successful where other similar ventures failed. … The City should partner with the Church, Morton Plant Hospital, or other large employers in the area to form a similar alliance to bring businesses downtown. These businesses, once attracted, should be promoted to these large employment bases and area residents to ensure visibility and patronage.” Put another way, ULI was forecasting a booming commercial and retail environment in downtown Clearwater—and the key ingredient is collaboration between the two major players, Church and City. The Church’s contribution to such a collaboration was scrutinized in the July 2014 report by FSU’s Center for Economic Forecasting and Analysis (CEFA), headed by Director Julie Harrington. 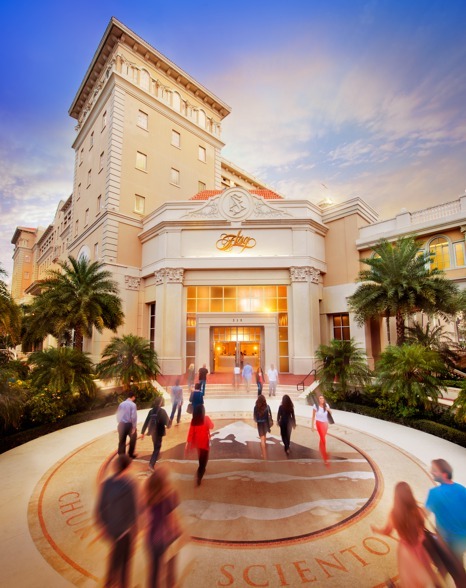 The bottom line: The Church of Scientology pumped $917 million into the Clearwater economy in 2013. That included $485 million in identifiable direct impact, plus a conservatively calculated $432 million in indirect and induced impact. By comparison, all of the Clearwater beach hotels, restaurants, souvenir shops, T-shirt emporiums, tanning salons and other businesses combined produce an annual economic impact of $1.5 billion, according to a “Downtown Clearwater Brief” that the City submitted to ULI. Thus, the Church’s impact is the equivalent of 61 percent of all tourism impact in Clearwater. NASA’s operations in Florida, $900 million. The University of Tampa, $750 million. The cruise ship industry in the Tampa Bay area, $380 million. The Tampa Bay Rays, $122 million. The Straz Center in Tampa, $110 million. The Philadelphia Phillies’ Clearwater operations, $100 million. Ruth Eckerd Hall, $40 million. An even more interesting comparison: The Church of Scientology direct expenditures in the Tampa Bay area ($485 million) are almost 30 percent higher than the City’s spending for all its programs ($375 million), according to the municipality’s 2013-14 budget. The two entities have relative parity in financial clout—with the Church apparently having the edge. Referring to the Church’s impact, the FSU economists’ report states: “It is expected that those current numbers will increase given the recent opening of the Flag Building,” the Church’s Clearwater cathedral, on Nov. 17, 2013. There already has been a rapid increase in the number of Scientologist visitors to the city. About 783 Scientologists arrived in June 2014, for example, a significant 14 percent surge from the 685 visitors who arrived in June 2013. With the religion’s economic impact growing by about $62 million a year since 2007, according to CEFA, the Church easily will top the $1 billion mark in a matter of months—if it hasn’t done so already. The CEFA study also concluded that the Church contributed 7,514 jobs to the Tampa Bay area in 2013, with paychecks totaling $338 million—or, almost $45,000 per employee. Moises Agami, a developer from Mexico and frequent visitor to Clearwater, owns a strategic land parcel on the north side of Cleveland Street. He sees healthy activity and a strong promise for the future. There are two persistent fables about the state of Clearwater’s downtown. The first concerns bygone days, say the early 1970s, when some people recall a thriving downtown. The second is that the reason the city center isn’t booming today is a perplexing mystery. Serious thought shows that downtown was desiccated by suburban shopping malls. Indeed, when the religion’s headquarters moved to Clearwater in late 1975, the Church represented the only major influx of development and capital to downtown in many years. And, a look at downtown today shows that it is coming alive. A major addition to the area was the revival of the Capitol Theatre. Good crowds are developing for the string of hit performances at the Capitol—and along with other activities, there has been a gradual but noticeable upswing in the demand for retailing and restaurants. True, many landowners saw major projects stall in the recent recession, but as the economy rises, so do the aspirations of developers. Moreover, the only major infusion of capital into downtown—even during the real estate recession—was the more than $252 million provided by the Church’s various construction and redevelopment projects between 2007 and 2013. Indeed, the Church is bringing an ever-increasing number of members from around the world following the opening of the Flag Building, the religion’s cathedral and the largest building in the city. The history lesson: Before the Church of Scientology moved its headquarters to Clearwater in late 1975, two authoritative reports concluded the downtown was a municipal wasteland. A half-decade later, and Siemon & Larsen of Boca Raton pointed to the single most devastating decision by the City affecting the central business district. “To construct a new Memorial Causeway Bridge and make downtown’s main street [Cleveland Street] a ‘dead-end’ only compounds the negative market forces that suppress downtown’s potential,” the consultants stated. This cavalcade of studies and reports all attested to problems that existed for decades, and which have continued largely unabated. The one major positive constant in all of this has been many fine buildings and hundreds of millions of dollars in investment supplied by Church enterprises. There has been substantial private investment in downtown in recent years—particularly from high-rise condominium developers. 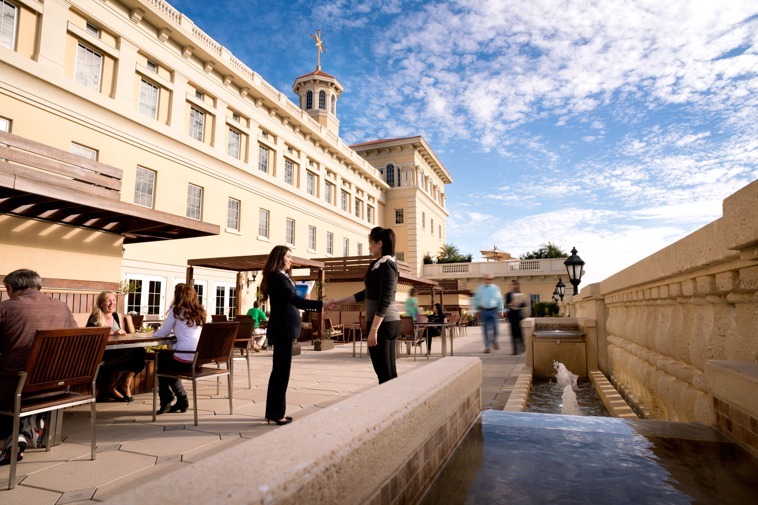 A fourth floor terrace at the Flag Building provides Scientologists with opportunities to socialize or to merely relax and view the beautiful Clearwater outdoors. Also, since 2007, the Church has expended $252 million in downtown construction, all of it private. When the Urban Land Institute consultants took their look at Clearwater, the FSU economists’ analysis of the Church of Scientology’s finances hadn’t been completed. 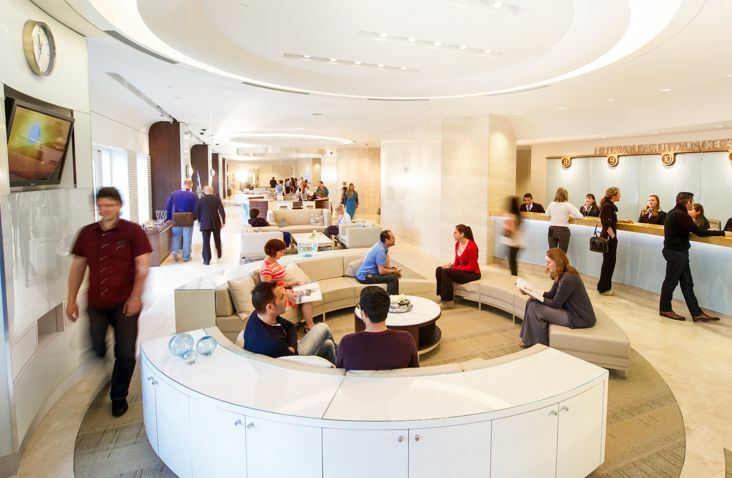 Still, the ULI team understood the importance of the Church’s role, its financial stability in Clearwater, and the opportunities available in downtown. That divisive attitude benefits no one other than a few people who see political advantage in disrupting progress, or in marginalizing the Church. Rogers said that view was vastly distorted. “Our honest, genuine, sincere appraisal is that … the Church seems to be just like almost any other large urban institutional landowner,” the consultant observed. “They are focused principally on their own programmatic needs, which makes them no different from most hospitals or universities that are focused first and foremost on their own programmatic needs. 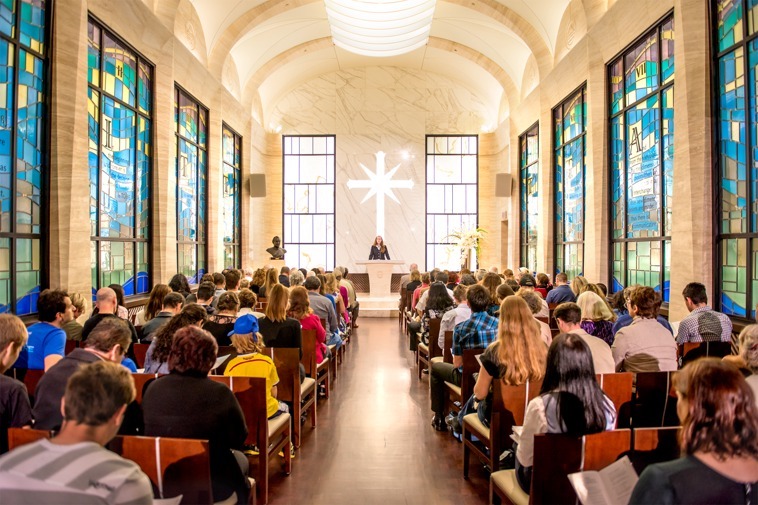 The FSU study analyzes numerous aspects of the Church as an institution, Scientologists who are residents in the community, and those who visit the Church for religious services. In 1999, economist John Qualls cited the Church’s annual economic impact at $298 million. There were 1,307 Scientology staff members in Clearwater, and 3,072 parishioners lived in the city. In 2007, Qualls updated his earlier report, and the Church’s annual impact had climbed to $564 million. Also in 2007, Benecke Economics found a similar impact to Qualls’ study. Benecke calculated $523 million in economic impact. The recent FSU CEFA study identified $917 million in 2013 impact. The Church staff had grown to 2,300, and the Scientology community had surged to about 10,000 people. Thus, the increase in impact each year from 1999 to 2013 was $48 million. But during the last six years, that rate of annual increase soared to $62 million. The spending of the Church on construction alone from 2007 to 2013 was $252 million. Church expenses for goods and services in 2013, $54.5 million. The direct spending of businesses owned by Scientologists was $288 million. Scientologists’ charitable contributions in 2013, $131 million. The Church’s foundation in Clearwater is a solid and enduring resource for the community. And we remain dedicated to a constructive and cooperative relationship with the city, so that we may work together in creating a flourishing and prospering Clearwater for the benefit of all citizens. The Church contributes in other ways, according to the FSU economists’ report. The Church’s property taxes, about $1 million this year, make it one of the highest taxpayers in the city; additionally, Scientologists staying in retreat facilities contribute about $1 million a year in Pinellas County and State tourist taxes. Payments for services such as water and sewer total about $2 million a year. “Over the past two decades, the Church has proven its dedication to improving Clearwater. Our commitment is demonstrated in our Church facilities, which are emblems of beauty for the entire city. We are also relentless in our passion to contribute and improve our environment, as evidenced by the recent construction of a public walking park on Fort Harrison Avenue. “The past seven years have seen the completion of massive Church development projects. On every construction project, we have strived to hire local industry so that the Tampa Bay area economy benefits from our expansion. We further support and work with a diverse range of benevolent and humanitarian organizations. And, our parishioners are dedicated to a multitude of volunteer and charity initiatives that uplift the quality of life for all citizens. John F. Sugg, award-winning investigative journalist, was senior editor at Creative Loafing alternative newspapers and held senior writing and editing positions at The Miami Herald, Tampa Tribune and Atlanta Constitution.